Many UNISON members would like to improve their skills and confidence in some area of English, maths, or IT. Learning reps are ideally placed to identify and address these needs. A workplace learning survey could help to identify English, maths and IT needs. Look at the Learning and Development tile on the Organising Space for template learning surveys, or contact Learning and Organising Services for a supply of Learning Questionnaire postcards. You could also use unionlearn’s SkillCheck app for one-to-one skills assessments. You could use one or more of the activities in our Making Every Penny Count toolkit to run a ‘lunch and learn’ session. Topics include: understanding payslips; money quiz; payday loans and credit unions; debt and budgeting. You could run the Reading Ahead challenge or set up a workplace book group to promote literacy. UNISON can help out, providing Quick Reads books and reading diaries. See our Read Anytime, Anywhere toolkit for more. Learning and Organising Services has developed taster workshops exploring some basic literacy and numeracy concepts. These take about an hour to an hour and a half to run. Find them here. And there are also plenty of maths and English activities in our Learning for Everyone informal learning toolkit. For copies of any of our learning toolkits, contact Learning and Organising Services. Kickstart funding is available to help with some of the costs associated with running learning activities. Remember, your employer has a responsibility to address the skills needs of employees. You may be able to work with them to make this happen. UNISON has a national partnership with WEA and works with other providers to negotiate, set up, and support workplace learning – including English, maths, and IT (and English for Speakers of Other Languages). This is dependent on identification of funding and meeting minimum number requirements. Talk to your regional education team about arranging formal learning in your branch. UNISON can support the uptake of quality apprenticeships as a route for staff to access training, including English, maths and IT development. 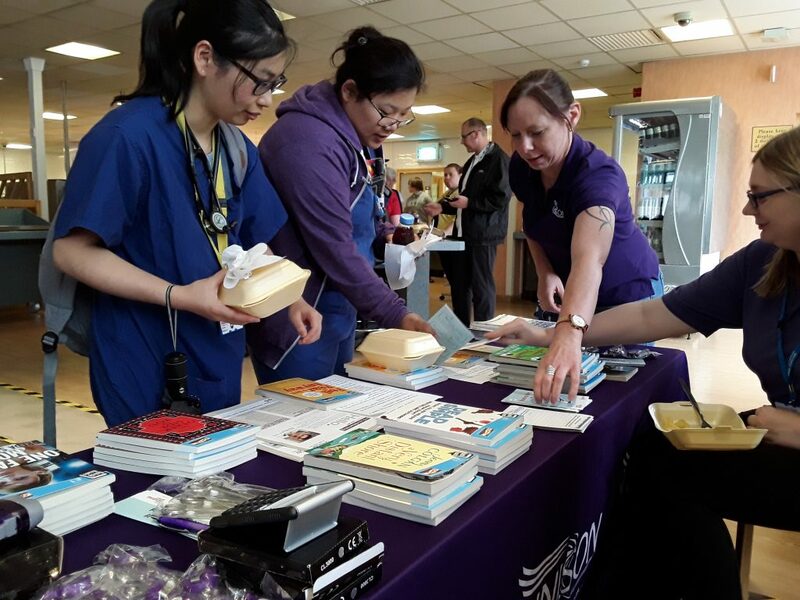 UNISON Learning and Organising Services can provide free books to branches who want to promote reading in the workplace. Click here to download an order form.